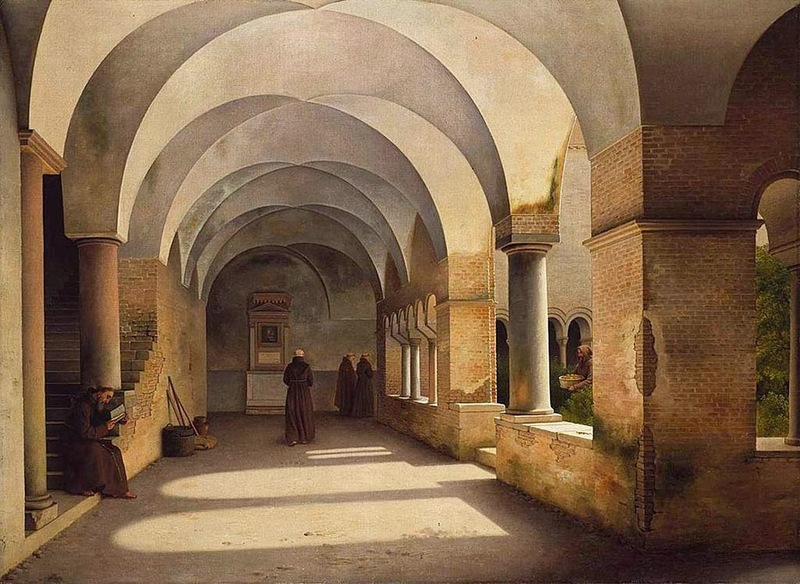 The Cloistered Heart: So, What do They DO all Day? We have looked at some of the whys of monasticism, we've used analogies, we've considered ways in which the seed of monastic totality can grow in our lives. We've even explored a couple of "monastic days" of our own. As we do so, it is important to never lose sight of the real thing. Life as lived by men or women who've left the world in order to more fully pray for it, men or women whose whole lives are spent in union with God. Today I came across something that captures, in a relatively brief nutshell, monastic life in the essence of its dailiness. In spite of a few audio hiccups, when I found this video it was Love at First Sight. From wake-up through Mass through meals through work through a joyful recreation through nightfall through the candlelit Salve Regina, I was delighted and intrigued. I hope you are as well. A hat tip to Connie Rossini for the lead toward this one.